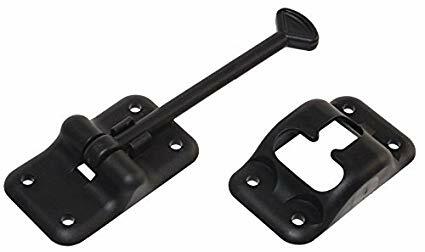 Ok the outside door catches that they put on travel trailers and fifth wheels are pretty much junk, ours is a plastic T style and while the catch itself has held up it has been pulled off the door and the wall by the wind. I reattached it to the door when it happened with larger screws but when it came off the wall it was more of a problem. 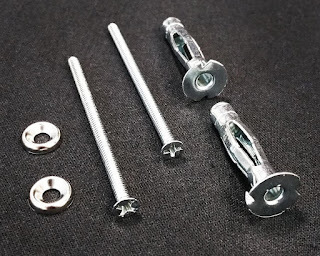 One of the type of anchors that I carry in the trailer came in handy simple drywall anchors and has held up well so far. 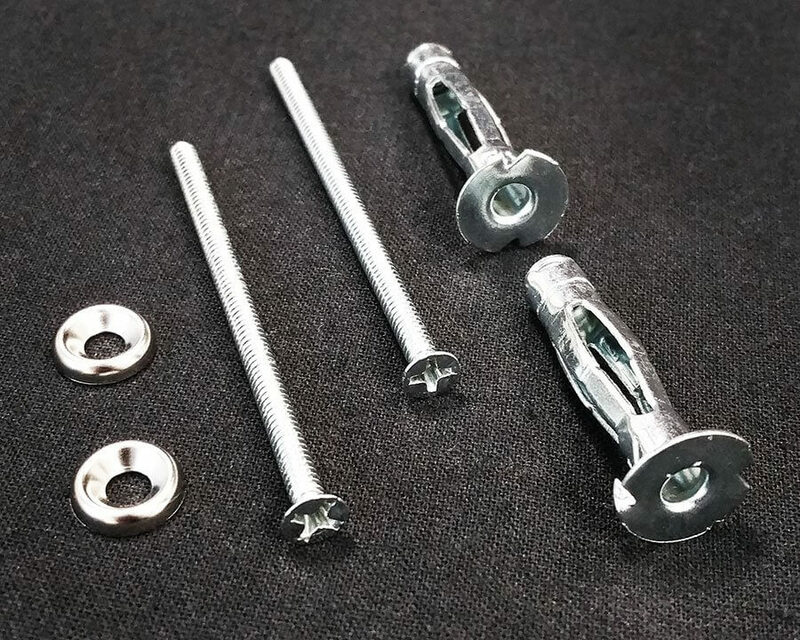 Why drywall anchors ? no special reason I will try almost anything for a repair and I thought these would anchor well and I may use them on the door next.